And so it begins. The Disney / Fox deal finally kicked in earlier this week, which represents one of the most seismic shifts in the entertainment industry ever. 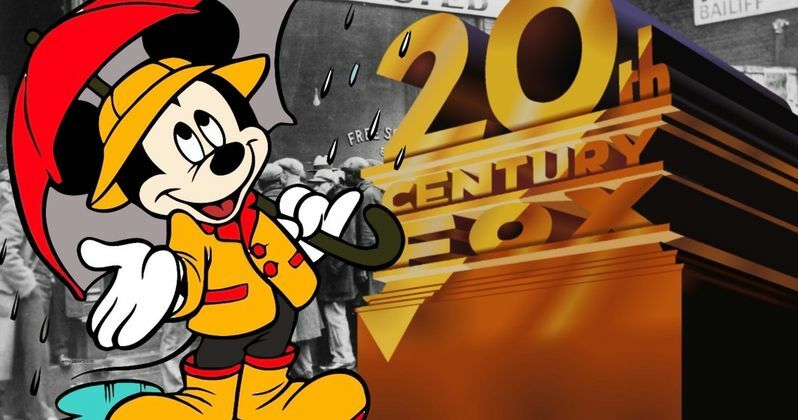 The $71.3 billion deal sees Disney Taking over the majority of the media assets formerly held by 21st Century Fox, which will be folded under the company's already sizable and formidable stable of assets. While there are potentially exciting elements of this merger, from a consumer standpoint, there are plenty of ugly elements to go along with it, starting with massive layoffs, which have already begun. Because Disney is absorbing all of Fox's business from both the movie and TV side of things, there are naturally going to be a lot of redundancies within the corporate structure, in terms of personnel. This will result in an estimated 4,000 or so layoffs, which started this week just days after the deal was finalized. Disney CEO Bob Iger had this to say in a note sent to employees. "I wish I could tell you that the hardest part is behind us; that closing the deal was the finish line, rather than just the next milestone. What lies ahead is the challenging work of uniting our businesses to create a dynamic, global entertainment company with the content, the platforms, and the reach to deliver industry-defining experiences that will engage consumers around the world for generations to come. We've spent the last year exploring the new opportunities and synergies generated by bringing our two legendary companies together. Leaders across both organizations have worked closely together to understand how to best unlock this potential and unleash innovation and creativity to generate long-term growth. We're confident in our integration strategy and in our ability to execute it effectively; and we're inspired and energized by the new possibilities." Insiders have described the situation at the studio as uneasy, as many staffers are unsure of their fate. The layoffs, for now, are described as "relatively small" and "targeted." Currently, it's mostly higher-level employees, who are said to be getting generous severance packages, with certain senior staff members receiving as much as nine months worth of pay. Bob Iger continued in his letter, speaking, in vague terms, about the integration process as they move forward. "Our integration process will be an evolution, with some businesses impacted more than others. We've made many critical decisions already, but some areas still require further evaluation. We may not have answers to all of your questions at this moment, but we understand how vital information is, and we're committed to moving as quickly as possible to provide clarity regarding how your role may be impacted. Having been on both sides of numerous acquisitions during my career, I have a deep appreciation for how this one impacts everyone involved, on both a personal and professional level. I understand the challenges, and I ask for your continued patience in the days to come as we combine this collection of great assets to create the world's premier entertainment company." Marvel fans have focused on the fact that the X-Men and Fantastic Four can now be part of the Marvel Cinematic Universe. That's great, and Disney will be able to produce a lot of content for their upcoming streaming service Disney+. But with this kind of consolidation in media, there are going to be downsides, which may be difficult to see from a consumer perspective. It is, unfortunately, much easier to see for those working at what used to be Fox right now. This news was previously reported by Vareity.